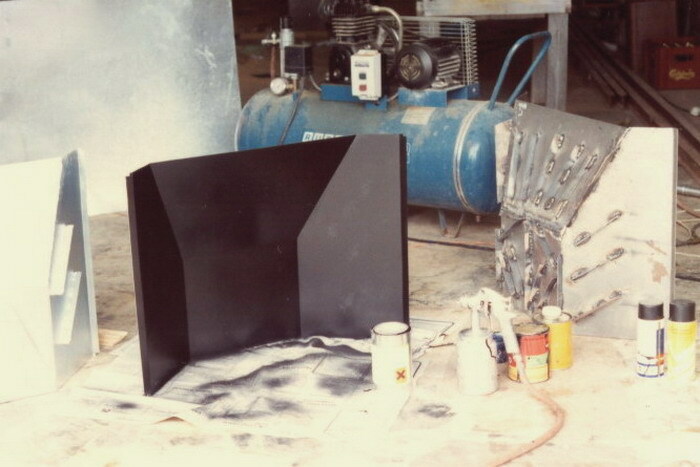 All the jobs wherein shown were done 18 to 28 years ago… As you can see, what it’s done presently, we’ve been doing it for a long time. 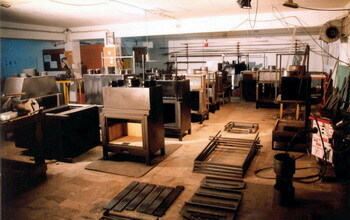 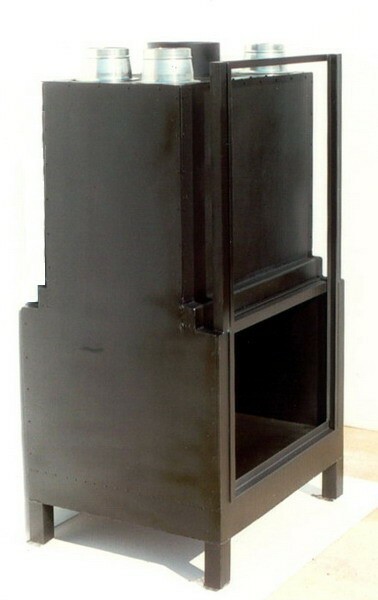 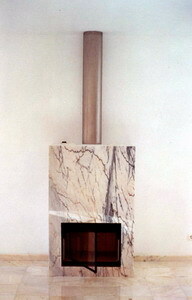 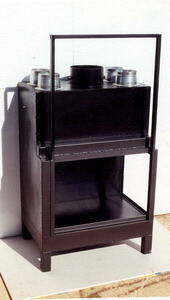 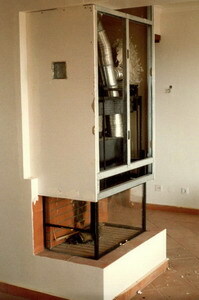 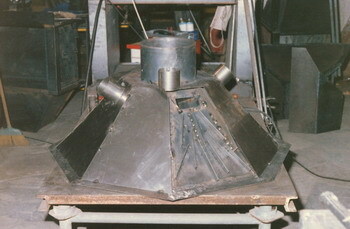 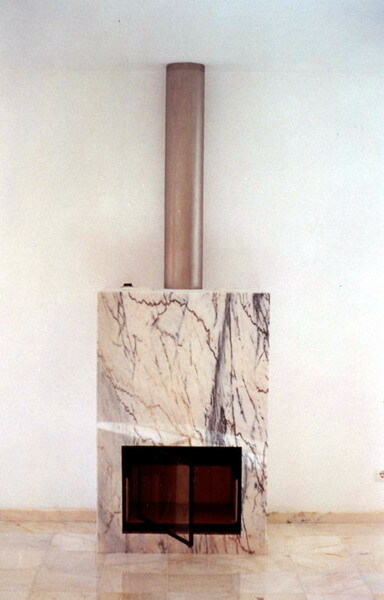 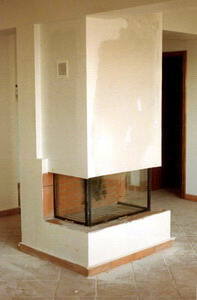 That led us to manufacture, almost exclusively, stoves with retractable lifting doors. 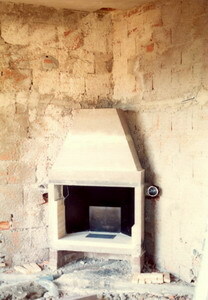 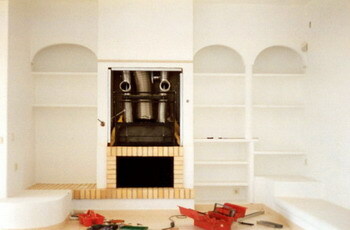 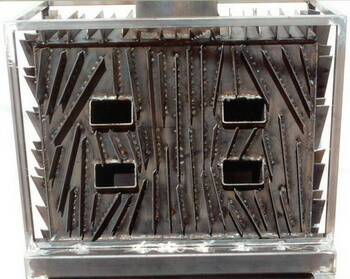 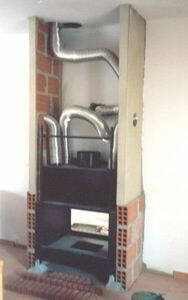 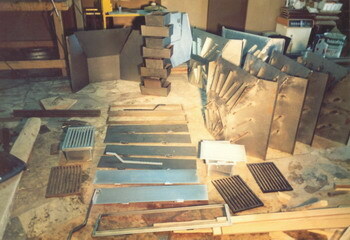 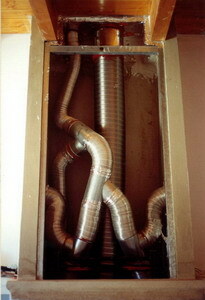 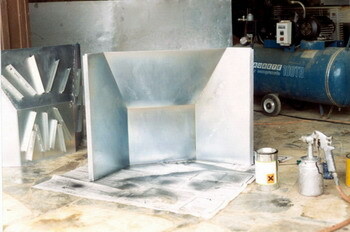 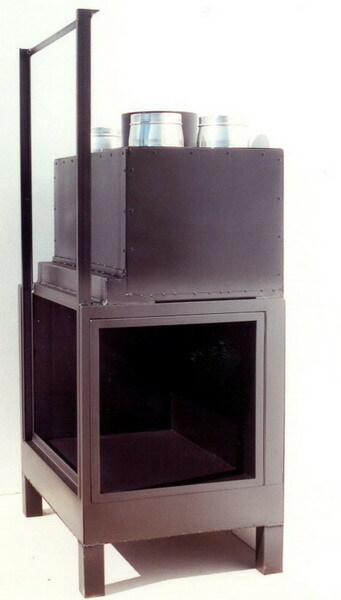 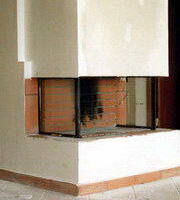 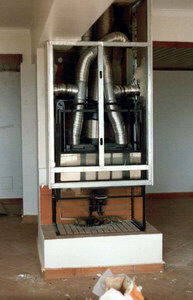 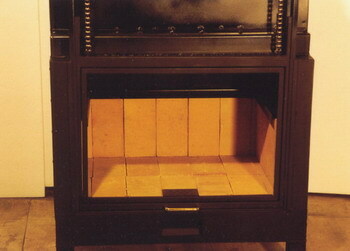 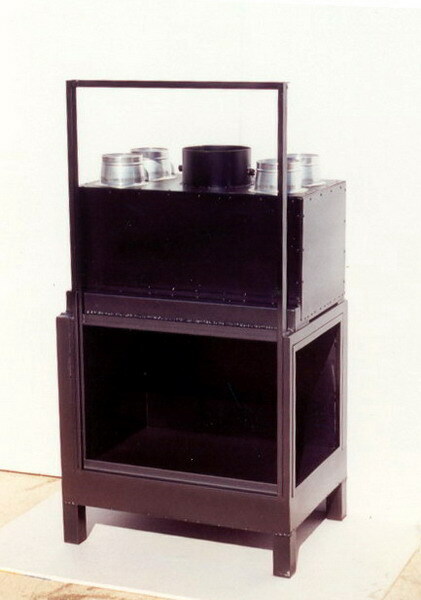 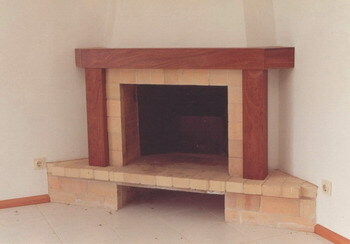 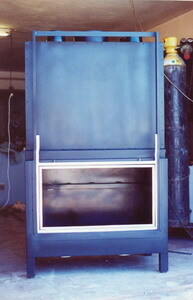 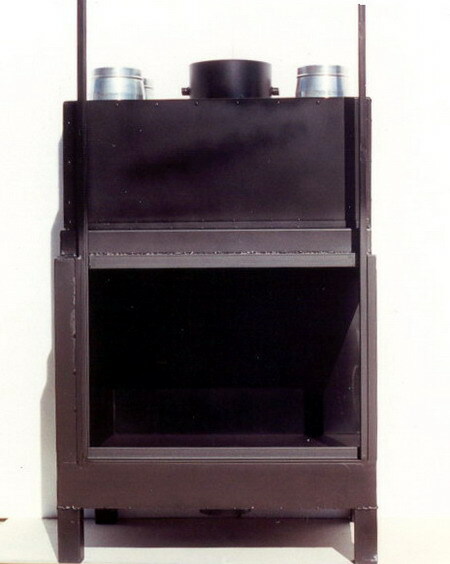 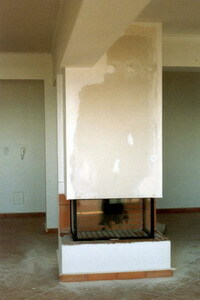 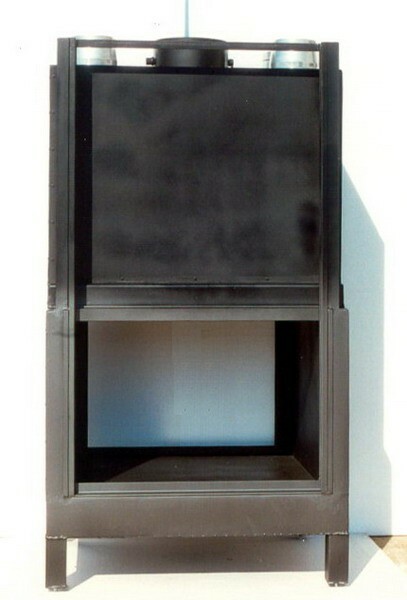 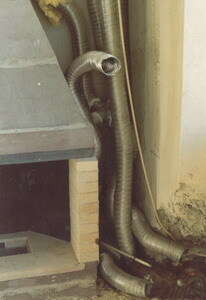 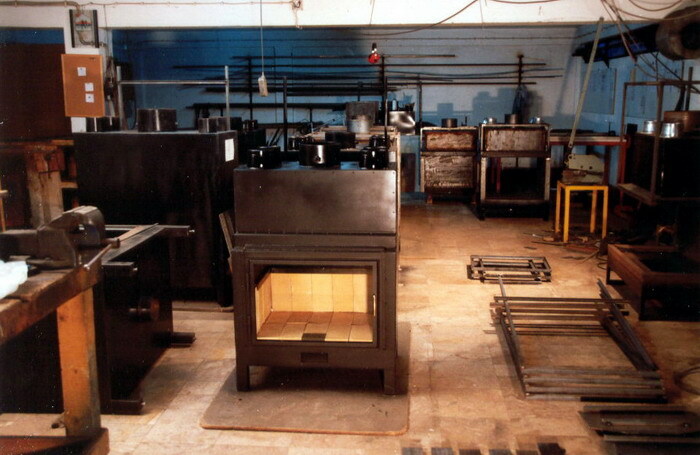 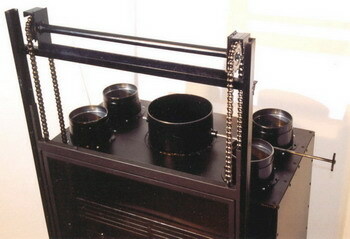 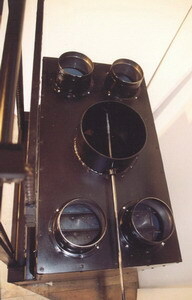 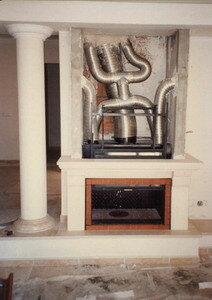 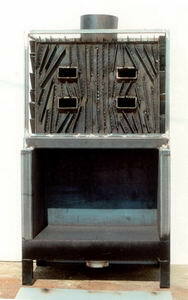 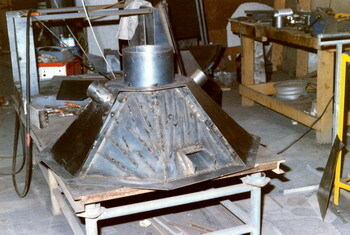 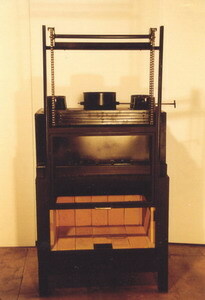 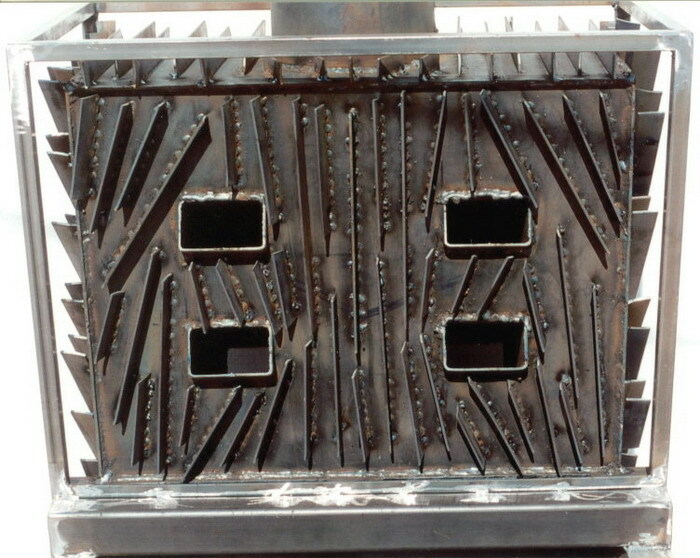 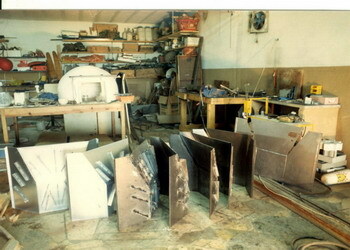 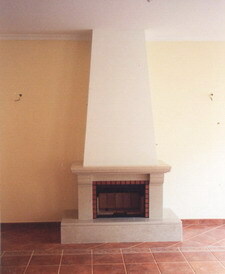 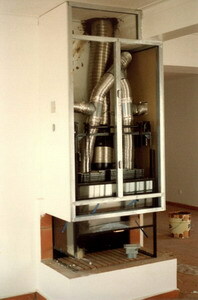 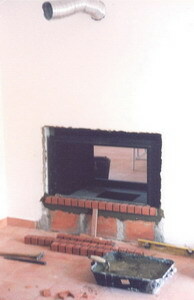 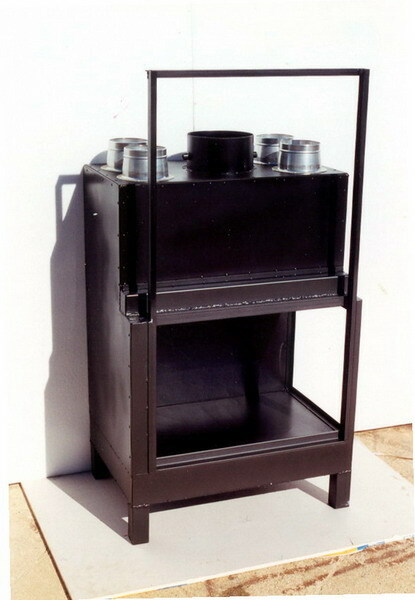 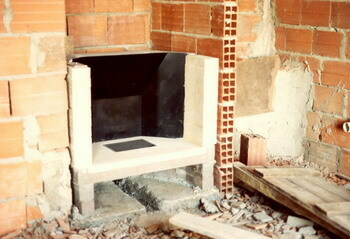 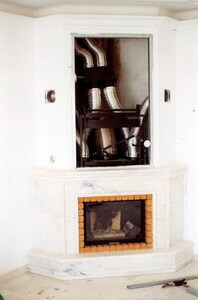 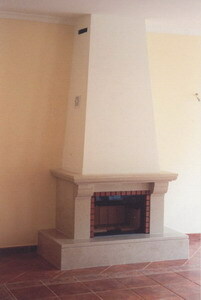 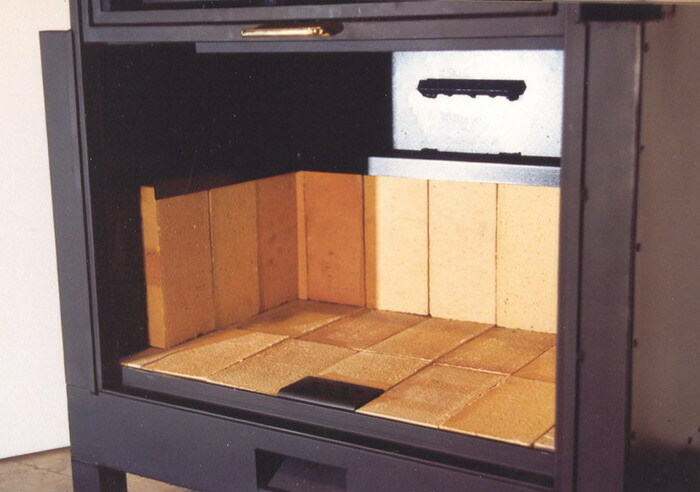 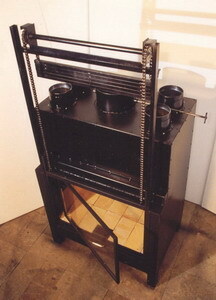 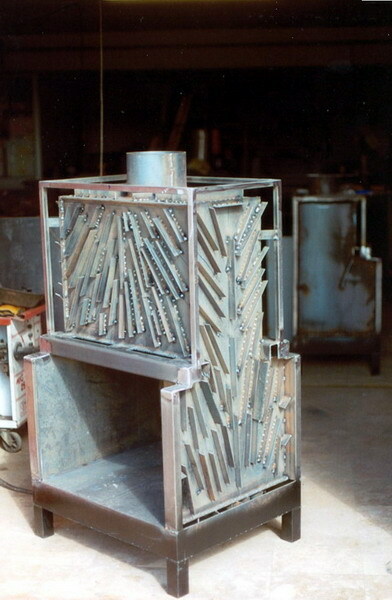 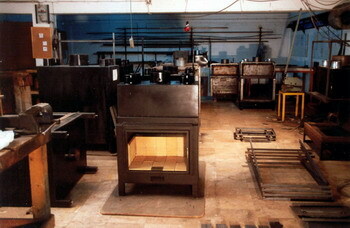 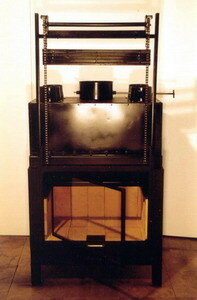 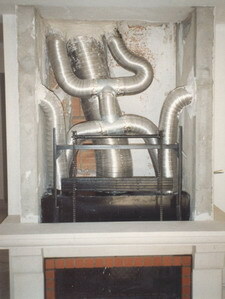 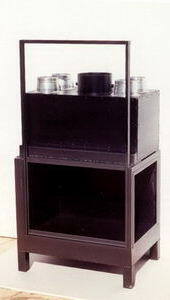 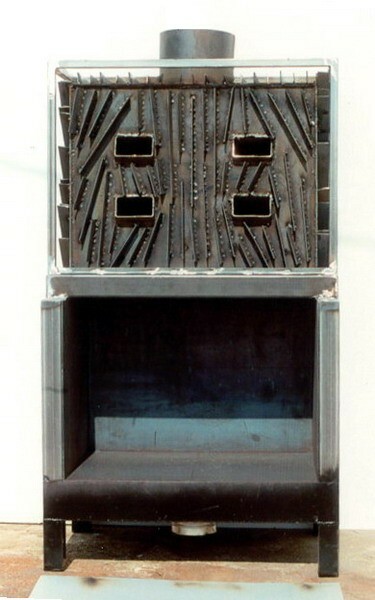 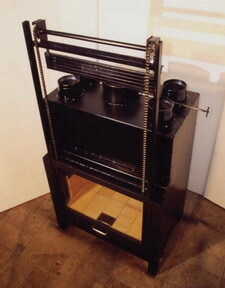 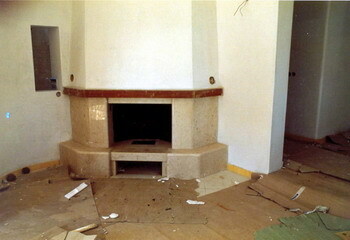 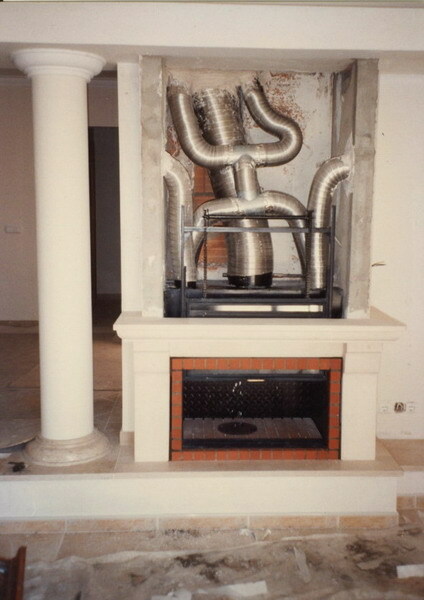 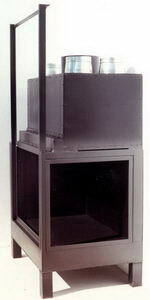 Furthermore, all our stoves were installed with exterior air ventilation, which many criticized at the time. 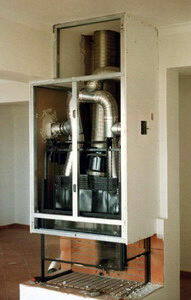 Today, it is known that the air renewal inside the house is essential for our well-being. 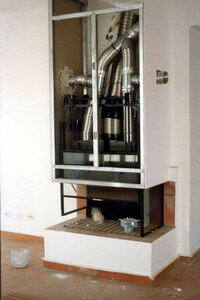 It heats a living room, a kitchen and an upper room. 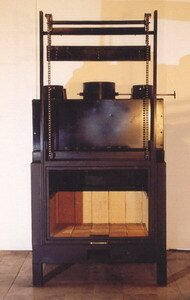 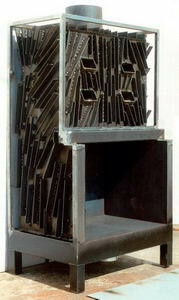 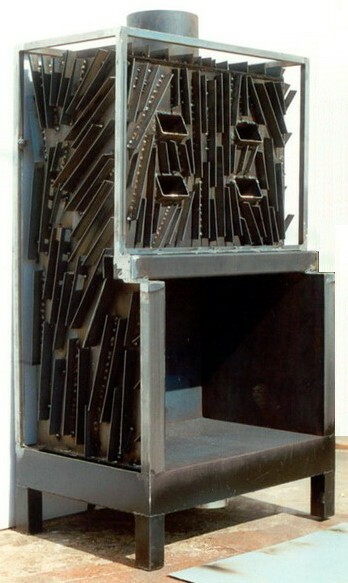 Stoves with a door opening system created by us, where any of the doors can retract upwards independently of the others. 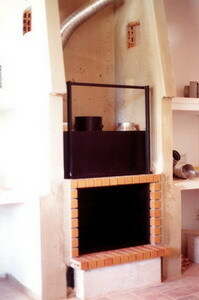 When all doors are open, you can’t see the stove at all, looking like a traditional fireplace. 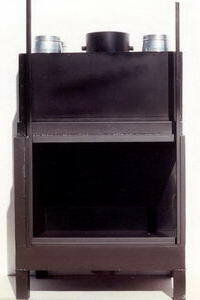 Sometimes an image is worth more than a thousand words.